Please accept my apologies for dropping the ball on posting this week. 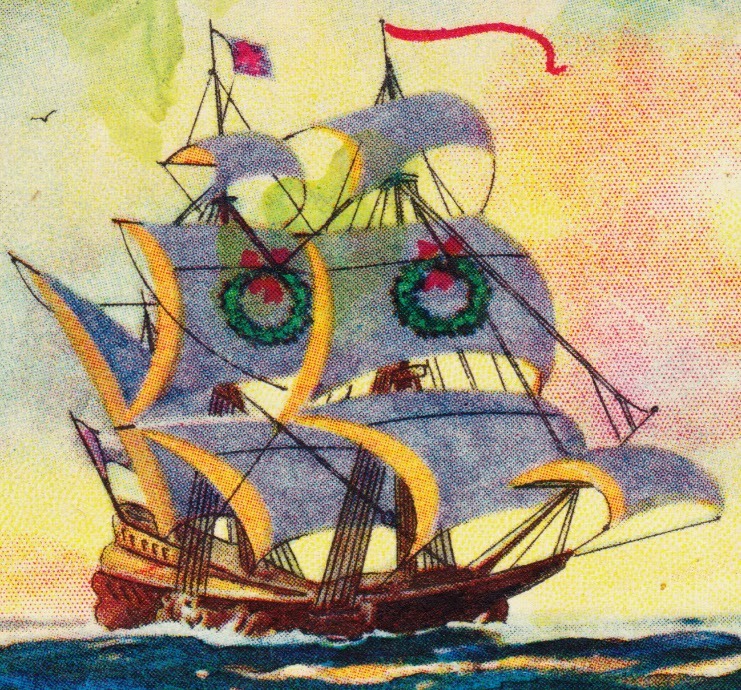 To make up for it, here are four old Christmas cards — a very merry sailing ship and three cards featuring cozy, snow-covered dwellings. 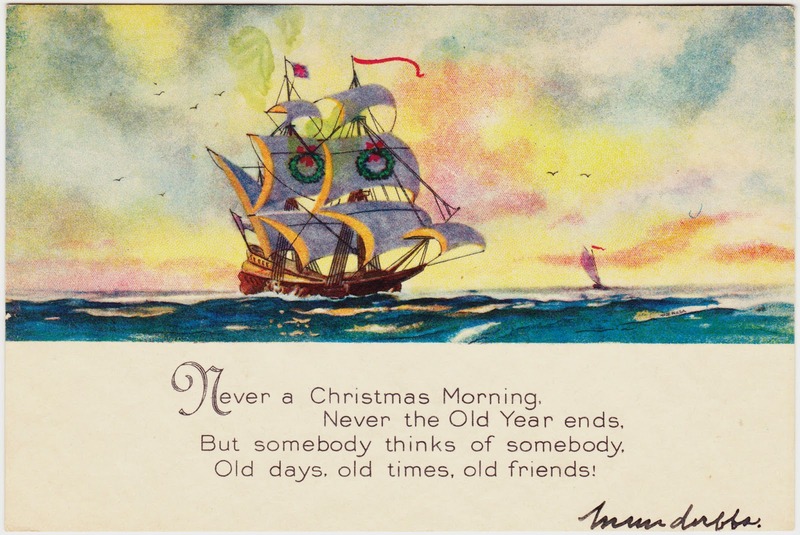 It's quite the common theme on Christmas cards, old and new. Enjoy! 1. "Old days, old times, old friends"
2. 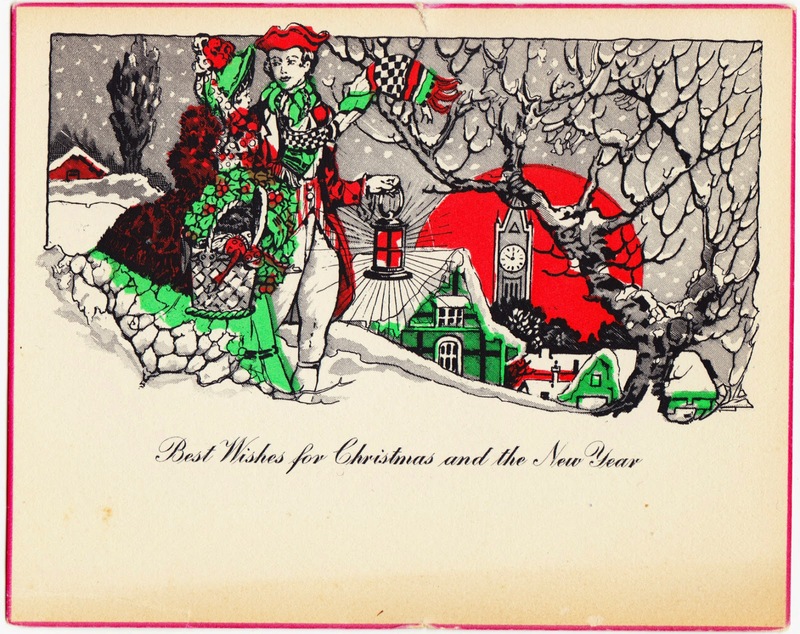 "Best Wishes for Christmas and the New Year"
I'm a sucker for robust reds and greens and snow-covered villages. And check out the man's scarf! On the back, the only writing is, in tiny cursive, what appears to "Mac and Phoeby." 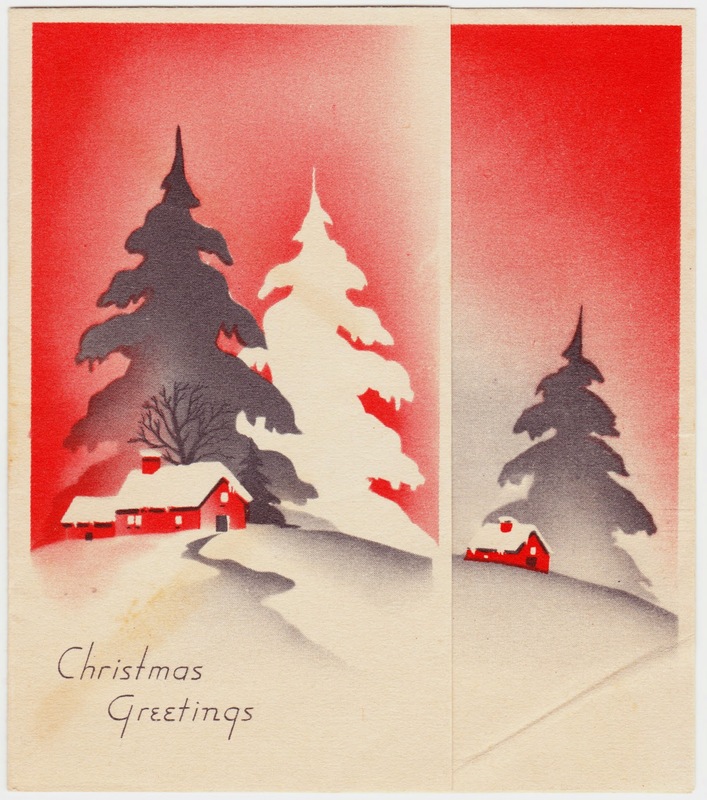 Here is the front and the inside of a "MADE IN U.S.A." card featuring snow-covered homes, evergreens and a simple message. The graphic design is really nice. Finally, this French-language card seems to be of a more recent vintage. 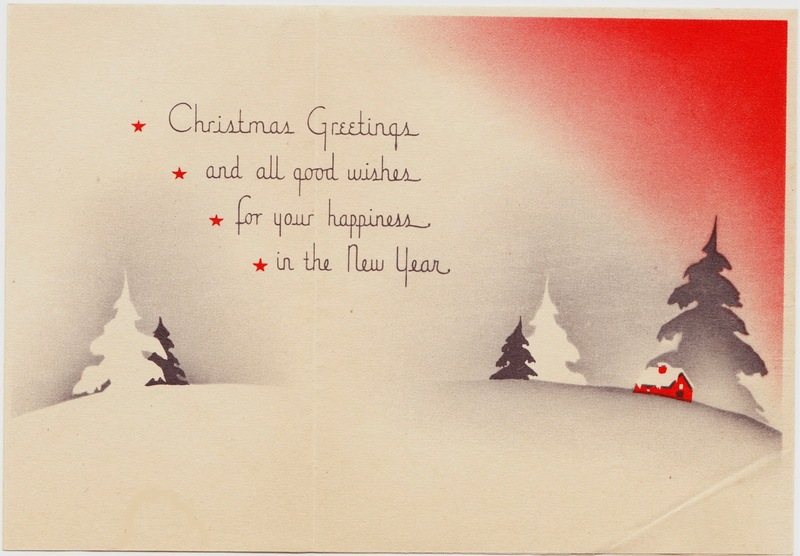 The message on the back is typed and states: "Chère Vicki, Je te souhait un joyeux Noël et une bonne année. Ton amie, Marie-Claude." 1. 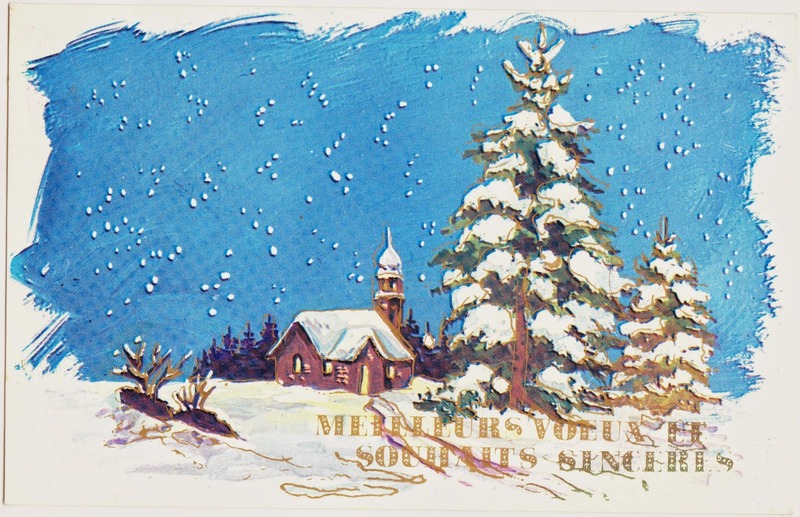 I'm going to use as many of my old Christmas cards and blank postcards as possible for the bundle of Postcrossing holiday postcards that I'll be sending out in the coming week. That way I can send folks all across the planet cards that are both merry and truly vintage. I guess it counts as recycling, too!